Would you like to schedule an appointment to meet with the pastor? If there are no other members, please scroll to bottom of form to submit. Otherwise, please continue. If there are additional members of your family, please submit this form and open a new form. Simply enter the family name and the word "Continued." Then scroll down to "Child/Dependent 1" and complete information about the additional members. Then submit. 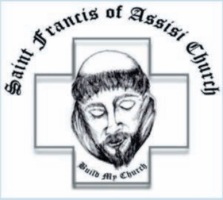 If you are interested in volunteering in one of the many available ministries here at Saint Francis of Assisi, select the link below (or copy and paste to your web browser) to complete the Volunteer INFORMATION Request Form. Completing this form does not commit you to anything, but gives us the opportunity to provide you more information.